Jon Reay is the CEO and Founder of Rewrite Digital. Prior to launching Rewrite Digital, Jon worked in several digital agencies around the world for seventeen years. He has led pioneering digital and customer engagement strategies for organisations that include Lloyd’s of London, Manchester City FC, Team GB, IKEA, UK Cabinet Office and Tourism New Zealand. 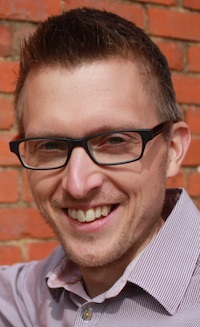 Educated in Computer Science at Bristol University, Jon has experience working with a range of digital technologies to which he brings significant value to IT, marketing and business strategies for clients. Jon has written for numerous publications and spoken at events and conferences in Europe and the USA. A team of associates work with Rewrite Digital to provide sector expertise, specialist skills and scale to provide the best possible service to our clients.